Why did science flourish in the West, and only the West? The biblical worldview provided the presuppositions that allowed science to flourish while it was stillborn in other places such as Greece and China. Evolutionists deny this biblical foundation for science by accusing Christianity of superstitions that held science back. Jonathan deftly busts the myth of the 'Dark Ages'—a time marked by many scientific advances. He also busts the myths of Galileo, belief in a flat earth, and more. 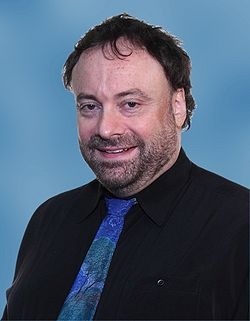 Dr. Jonathan Sarfati is a research scientist and speaker with Creation Ministries International (creation.com). He was born in Ararat, Australia in 1964. He moved to New Zealand as a child and later studied science at Victoria University of Wellington. He obtained a B.Sc. (Hons.) in Chemistry with two physics papers substituted (nuclear and condensed matter physics). His Ph.D. in Chemistry was awarded for a thesis entitled 'A Spectroscopic Study of some Chalcogenide Ring and Cage Molecules'. He has co-authored papers in mainstream scientific journals on high temperature superconductors and selenium-containing ring and cage-shaped molecules. He also had a co-authored paper on high-temperature superconductors published in Nature when he was 22.